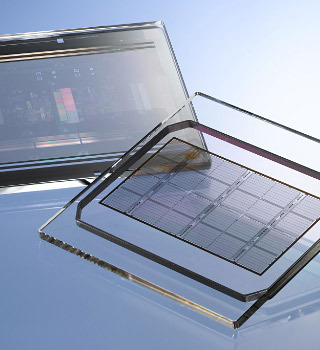 ARM Automation was approached by a leading producer of semiconductor photomasks to develop a next generation of laser micromachining tool for use in their day-to-day production and repair of photomask products. Photomasks, or “reticles”, are used as the templates for creating each unique layer of a semiconductor device. These products are essentially ground panes of crystalline quartz which are coated on one side with a thin film of chromium metal into which intricate patterns are cut to form the various circuit paths. Once patterned, these reticles are used as master “stencils” in the making of semiconductor devices, therefore, any errors present following the time-consuming writing process must be corrected. Most common repairs involve trimming rough edges of feature geometry or filling in the gaps of mis-made opaque areas. Given feature sizes on the order of 1 micron (1000th of a millimeter) or less, this work is accomplished by viewing the workpiece through microscope which also acts as the final beam delivery path for both laser systems. The ART (ARM Repair Tool) system was designed to do enable mask makers to make these repairs in a cost effective and timely manner compared to alternative technologies available. 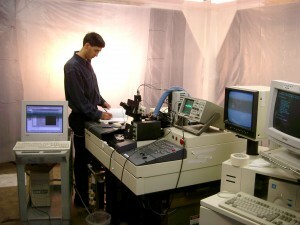 While other methods for trimming and repairing chrome patterns on the quartz substrate existed, all of the alternative technologies available were unreliable, slow and/or highly expensive to operate. ARM approached this problem by starting with an outdated laser tool platform which had served the industry well for years, but which had become so outdated in its controls, software and componentry that they were quickly becoming obsolete. Through a ground-up re-design of this laser repair tool platform, ARM was able to create a more precise, more ergonomic and lower cost-of-ownership mask repair tool system. First, ARM met with repair tool operators and reverse-engineered the existing tool system to determine how much of the original functionality to preserve and what new features were needed. 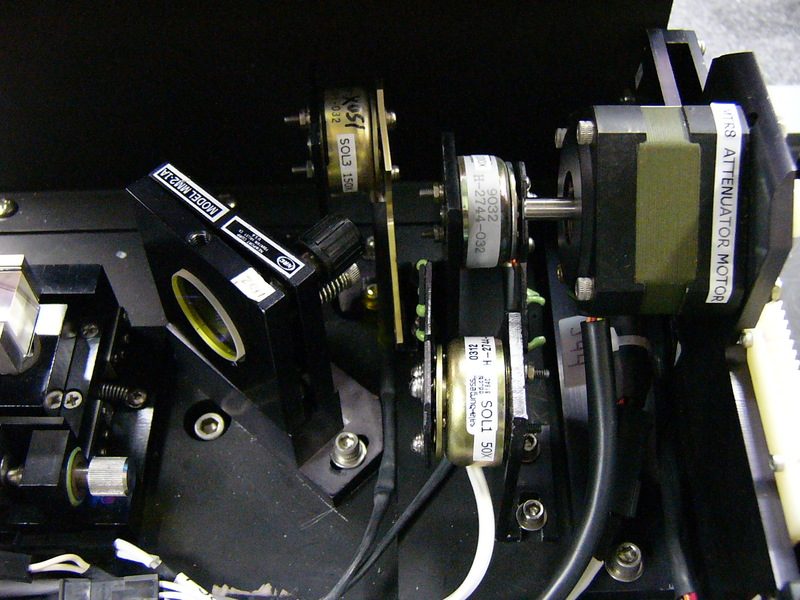 From this point, the original tools were gutted except for some of the laser optical path, gas handling system and machine frame. ARM then embarked on specifying new lasers for ablation (chrome removal) and deposition (essentially painting chrome directly onto quartz through selective heating via laser while flowing a special gas composition over the microscopic work area). In addition to new lasers and modern controls hardware, ARM Automation implemented a series of system changes, including new motion controls, automated focus features, machine-vision based display and analysis tools as well as enhanced system safety controls. Altogether, ARM Automation has commissioned more than two-dozen ART laser repair systems which are serving most of the major photomask-makers around the world. ARM performs ongoing tool development for the semiconductor industry as well as many other high-tech products such as production systems for items such as wearable consumer electronics or advanced medial devices. If there is a project we can help you evaluate and tackle, feel free to contact us here.